Magical memories are sure to be made at this fun night out at Magnolia Park®, your holiday destination for shopping, dining and fun. 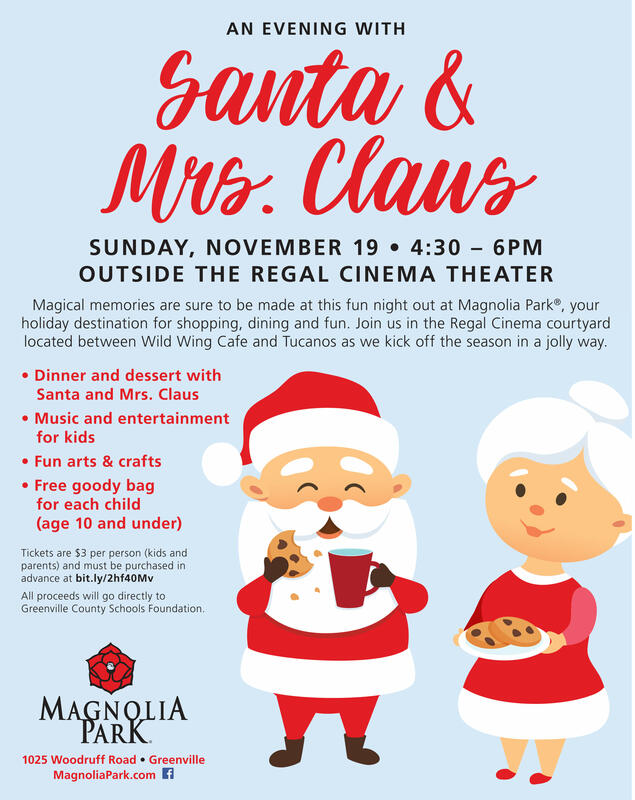 Come to the Regal Cinema courtyard located between Wild Wing Cafe and Tucanos as they kick off the season in a jolly way. Tickets are $3 per person (kids and parents) and must be purchased in advance.